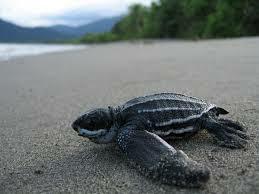 On Natures Talk Shows On The Brink of Extinction series we will be discussing Sea Turtles. These amazing animals have been around for over 150 million years. They are the longest-living marine species to ever ply the world’s oceans. They survived catastrophic asteroid impacts and outlived the dinosaurs. But the leatherback sea turtle, the largest turtle in the world, is on the brink of extinction, and scientists question whether the animal will survive into the next decade.